Colors: Black, Chestnut, Chocolate, Grey, Red Earth, Sand. Materials: The EMU Women's Stinger Boot is constructed from high quality sheepskin to wick away moisture and keep feet dry and odor free. 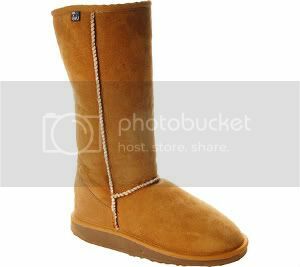 Sheepskin also serves to help feet to "breathe", keeping them warm in the winter and cooler in the warmer months of the year.